Behind 25 aces, Roger Federer made Thursday’s second round match with Gilles Muller seem much simpler than it could have been. The Swiss maestro was the first to play under the closed roof on Centre Court of 2014’s Championships, as rain momentarily suspended play midway through the match. 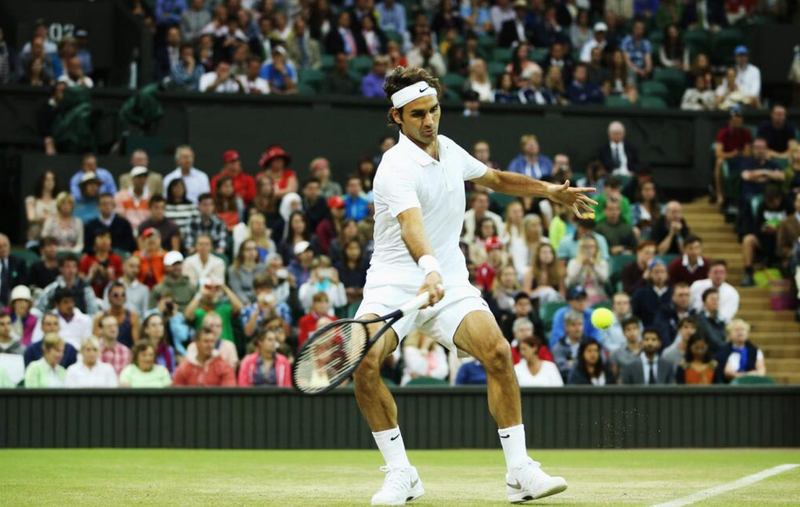 Federer’s serve dictated the match. He served up 25 aces to just one double fault, winning 91% of points on his first serve and 75% of points on his second serve. Firing away 44 winners, the 7-time Wimbledon champion hit only 5 unforced errors. He was 7 of 9 at net and 4 of 6 on break point opportunities. Needing just 1 hour 34 minutes, Federer is through to the third round, with a 6-3 7-5 6-3 victory. He faces Marcel Granollers or Santiago Giraldo next.